Kota, Oct 7,2017 : An incident wherein a stranger who arrived by a car circulated several fake notes of Rs 500 denominations on the pretext of making some small purchases at a shop and fish market has been reported from Sastan. The man who arrived in white coloured car was reportedly seen in the area for some time. When the shopkeeper handed over the Rs 500 note given by the stranger to others in the evening, it came to light that it was xeroxed paper. Incidentally, the man had made purchases only with women traders and fish sellers thus making them his easy target. 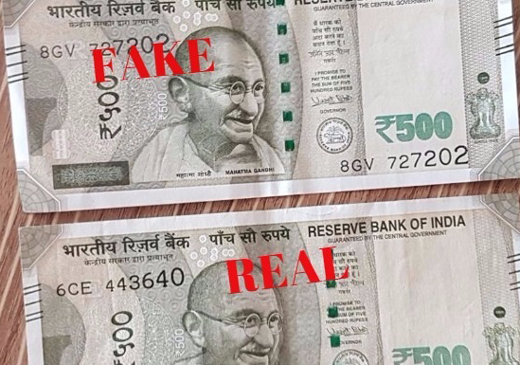 Kota police too visited the spot on getting information and have confirmed that the notes given by the stranger were fake. Though footages recorded in CC Cameras of some shops in the vicinity were checked, the stranger has not been located in any of the footage.